A letter of intent has been signed by both companies with the planned joint venture to be based in Germany and – subject to merger control approval – will assume responsibility for the development, integration, manufacturing and worldwide distribution of water-based, single-pass digital printing presses for folding carton and corrugated board. Ink and service businesses relating to the presses sold jointly through the global networks of the two parent companies is also to be handled by the joint venture. 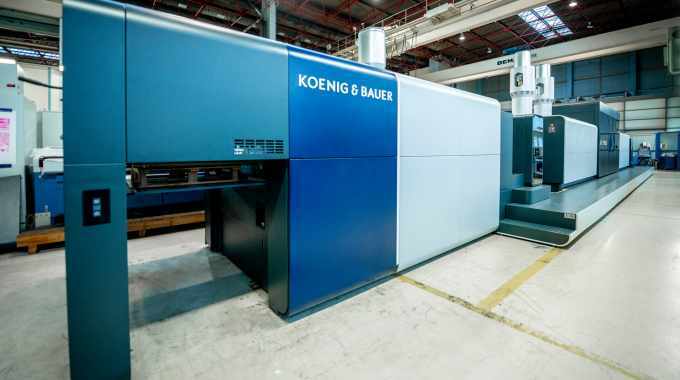 As a first milestone for the joint venture, manufacturing of the VariJET press for digital folding carton printing is to be commenced in time for drupa 2020. Christoph Gamper, Durst CEO, continued: ‘We are a technology leader in the field of inkjet printing and has already contributed to the digital transformation of production processes in various branches. In the printing industry and in surface decoration, in particular, Durst printing systems are deemed to set the standards with regard to print quality and productivity.